IF you could choose any superpower, which would you wish for? Some people choose invisibility or mind-reading (which both seem disrespectably sneaky if you ask me). Others would like to be able to speak in all languages (a good one, especially if you could also get bonus teleportation). But most people pick flight. Humans seem to share an indefinable sorrow about being earthbound. It’s a mourning for some imagined paradise lost, and aeroplanes don’t make up for it. 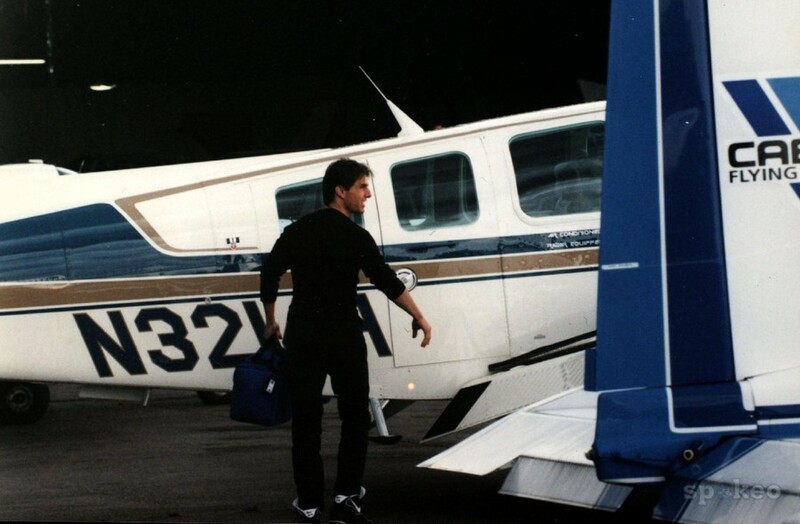 Being able to fly would be a recurring dream come true. Someone once hijacked my flight fantasy by asking, well, how far would you actually fly, if you could fly? You’re hardly going to hazard a solo run to Farranfore, are you, let alone chance anywhere interesting? So what are you going to do, if you gain the ability to fly? Look at your house from above? It’s true – who’s fit enough to fly south for the winter? – but yet… the wish persists. It’s a gift we’ve never had, the ability to control the influence of gravity by ourselves. It’s freedom. And yes, is the answer: Looking at your house from above would be a start. At the age of about nine, I borrowed a pocket-size hardback from the school library called Bird Spotting, by John Holland. At once I began to fancy that I was seeing impossibly rare breeds in my inauspicious west of Ireland suburb. I wrote a fourth-class essay on the song thrush, and its habit of assassinating snails by smashing them against a stone. It was the beginning of an enduring, arm’s-length flirtation with birdwatching, and the start of a lifelong career of not returning library books. I still use the same copy of Bird Spotting today. A few years later, I was given a present of a book of Audubon’s illustrations – matchless, detailed paintings of birds. Then I discovered Audubon’s method: first he shot the birds dead and then he propped them up with wires to draw them as if in motion. It was a common enough practice in Audubon’s day but, oh, the betrayal, the juvenile sense of wrongness it provoked. It was enough to put you off birdwatching for life. In truth, though, it wasn’t watching birds that was offputting, it was the thought of becoming a Birdwatcher with a capital B – possessed, insanely competitive, and badly dressed. One problem with serious birdwatching is that other people’s birds quickly become more interesting than one’s own. Birders would rather travel 500 miles to catch a glimpse of some foreign LBB (little brown bird) than sit in their own garden lazily observing the commonplace rituals of a goldfinch. Happily, where I now live on Loop Head, you’re spared the trouble and expense of travelling, because other people’s birds come to you. You wouldn’t suspect it at first glance. The place doesn’t look promising, being all but treeless but for a smattering of stunted, wind-pummelled half-trees that reach yearningly towards the east, giving every impression that they would rather be someplace else. But Loop Head is a pilgrim site for birdwatchers. Every year, hundreds of them alight on the peninsula in their autumn plumage, standing around in the rain for hours and poking their binoculars into people’s gardens. They record the passages of migrant seabirds which use Loop Head as a stopping-off point on their way to and from impossibly faraway places. One year they came to take notes on a little Canada Warbler that had got blown off course. It perched shyly in a neighbour’s shrub, implausibly yellow and tragically doomed. It would be outrageous – ungrateful – not to develop your interest in birdwatching in a place like this. It would be like living on an Alp and not skiing, or living in Los Angeles and forgoing plastic surgery. And so your calling as a novice birdwatcher takes flight. One Arctic Tern is perhaps all it takes. Arctic terns can live to be more than 30 years old, and they mate for life. This is the bird with the longest known migration, travelling about 20,000 kilometres from the Arctic summer to the Antarctic summer and 20,000 kilometres back again, stopping off at Loop Head on the way. Before the birds begin this formidable journey the entire colony falls silent. This is called the ‘dread’. Imagine it. Grey Phalaropes are also seen here – little duck-like waders that have subverted traditional gender roles for some reason. The female, who is prettier, competes for a mate and then aggressively defends him. Once she’s laid her eggs she takes off southward, leaving him to incubate the eggs, raise the young and generally shift for himself. We also get guillemots here, kittiwakes, shearwaters and great black-backed gulls. 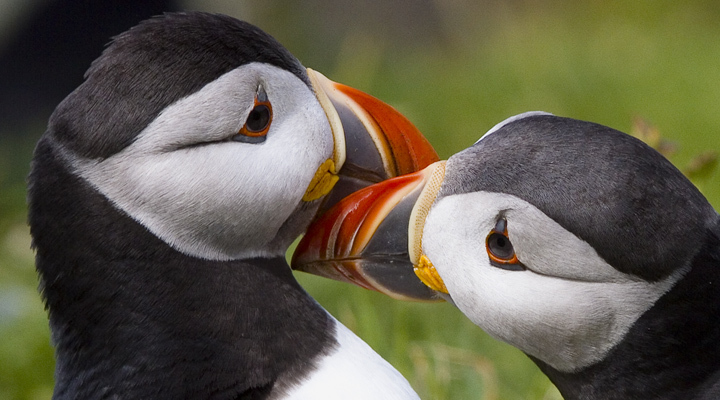 We get puffins, who rub their beaks affectionately with their mates’, known as ‘billing’. We get storm petrels, the smallest of all seabirds, named after St Peter for their appearance of being able to walk on water. We get gannets, which have binocular vision and can dive into the sea to fish from heights of 30 metres, reaching 100kph when they hit the surface. We get skuas, brigands of the skies, who live by stealing the catch of other seabirds, even those that are much bigger than them. But no matter how dazzled you are by the sight of exotic and rare species, the affection for common garden birds doesn’t wane. It’s a daily satisfaction, for instance, noticing starlings making room for each other on a telegraph wire, or watching sparrows taking a communal bath, like Ancient Romans. And every gardener makes friends with a robin. And there’s so much to be said for the crow family, even though they tend to arouse suspicion, perhaps because they’re wily enough to build a nest in one of your ears and rent out the other one. Crows have the largest brain relative to body size of any bird. Ravens have been shown to be as clever with tools as chimpanzees, while crows can recognise and distinguish human faces. And magpies, which so many people unaccountably loathe, well, magpies are simply beautiful. Apart from the enchantment of seeing birds, there’s the ambient thrill of their music (and it may be all you get, considering how reclusive many birds are): The mellow piping of a blackbird, the exuberance of a skylark giving its all, the able mimicry of a starling. Mozart reputedly had a pet starling that could sing the first few bars of his piano concerto in G. It’s said that whatever you’re doing when you first hear the cuckoo is what you’ll be doing all summer. (Unfortunately, as often as not you’re hanging out washing.) Then there’s the clicking-whooping soundtrack to summer, which falls silent in September when the swallows take their leave, saddening everyone. Birds are always hungry, they spend half their time looking for love, they put everything they’ve got into making a home, they’re vain in their grooming habits, they prefer not to suffer alone, and they’re always worried about dying. No wonder we identify. Two summers ago, my cat cornered a juvenile magpie in the hedgerow by my house. Magpies are notorious for taunting cats, and are usually the victors, so this was a rare turnabout. There was no choice, as I saw it. Risking bramble scratch, beak strike and the anger of an indignant cat – perhaps, with some exaggeration, the way mothers have been known to show superhuman bravery to save their children – I swooped up the magpie and carried him to safety indoors. The magpie – I’m still half-embarrassed to say I named him Luther – had a damaged wing. For some three days, he lived in the sitting room, at first flapping uselessly about in terror but then gradually becoming friendly. He graciously accepted cat food from my hand, placidly surveyed the outdoors from the windows (or perhaps admired his hint-of-purple reflection), and crapped wherever he liked. Then, when his flight seemed to have recovered, I carried him, perched on my finger, to the nearest tree. Before long his parents were hovering above, calling him. When he was ready, he flew away. Like a mother whose young have flown the nest, I have nothing but the photos to prove I was ever necessary to him. I understand wildlife experts might take a poor view of this. But what apology can you make to the sort of people who keep filming while an animal flails about in desperation and hunger, who believe that the best moral stance is not to get involved, to let nature take its ruthless course – and who believe, moreover, that they’re doing you a service by making you watch? This year I sawed a limb off my sycamore tree because a starling was trapped in it. He was dangling, panic-stricken, from a branch, attached to a shred from an accursed plastic bag. Seeing him fly away was a fine moment, an exalted moment. The human identification with birds, the wish to safeguard their freedom, is a reflection both of our higher selves and of our realisation that, unlike them, we are prisoners of the flat earth. So we watch them, and marvel at them, and protect them, and sometimes meddle in their tiny lives, and it makes us feel better about ourselves. IT’S supposed to be the private sector that’s a dog-eat-dog world. In the public sector – union-defended and sheltered from market forces – the strong are supposed to shield the weak, because they can and because they should. But now the Croke Park II deal, which protected low-paid public servants against pay cuts and safeguarded their jobs, has been rejected by the very unions that are meant to uphold fair play. In the public sector now, like everywhere else, it’s a case of survival of the fattest. Public servants have to be paid for by the state one way or another (at least until the last public service is privatised). This means they’re not subject to the upsides or downsides of free enterprise. They can’t flit from job to job, demanding sweeteners wherever they go, as the rest of us were allegedly doing all through the boom. It also means most of them are guaranteed a job till retirement, recession or no, and a pension at the end of it. To private sector workers, who know not the day nor the hour when their jobs might go, that seems more than reasonable compensation for not enjoying the perk of playing paintball with your 23-year-old boss in some bonkers corporate team-building exercise. To those on zero-hours contracts, where you’re expected to be available for work whether there’s work or not, and be paid – or not – depending, a guaranteed 39-hour working week would be a godsend. And to those who are flailing and sinking, jobless in a jobless job market, any position that pays looks like luxury, never mind a position you can’t be sacked from. Don’t like the thought of having your increments frozen? Tell that to a Job Bridge intern. I worked for one private sector company for over 20 years. Unusually, I didn’t have to take a pay cut, but that was simply because I didn’t receive a pay rise at all between 2000 and 2011, despite a prolonged period of raging inflation. There were no “increments”, let alone increments completely unrelated to performance. It wasn’t because of the recession, and I flatter myself it wasn’t because I was worthless. It was because I worked for a small, loss-making outfit to which I was unfashionably loyal. Then, in 2011, the company closed and its stranded workers were not entitled to a penny. That’s the system, out there. In reality, though, most public sector workers are not doing that well. Some 82% of them earn less than €60,000, and almost half of them, 45%, earn less than €40,000. The vast majority are comfortable, not rich, and Croke Park II acknowledged that. Now they can be thrown to the wolves. Government is looking for €1bn in savings on public service pay by 2015, and €300 million this year, and it must get them, because those are the orders of our paymasters in the EU and IMF. “Croke Park II is dead. That is democracy,” said Siptu president Jack O’Connor, suggesting that he has, well, let’s call it a quaint view of democracy. Unions are now threatening industrial action, and some are pledging not even to talk about this again. So the union line is hardening. More significantly, and despite the illusion of unity in Wednesday’s result, the union line is splitting. An ideological fissure has been exposed. Impact, which voted in favour, has said it “won’t accept a situation where Impact members face a worse package in order to appease members of other unions who have voted to reject”. In a circular to members on Thursday, the union pointed out: “you can only make things more acceptable for one group by making it less acceptable for another.” There’s the rub. Given that people earning under €65,000 were protected under this deal, we can conclude that those who thought it was a bad idea were those earning over €65,000. And the other union members who voted against it did so because that is the union way. You back up your co-workers. In other words, the low-paid have protected the high-paid. Of course the vote also reflects an all-purpose anger about austerity and burden-sharing. Nobody is happy about having this whole business adjudicated by our overlords in the Troika. Nobody is happy that Ireland has paid 42% of the cost of the European banking crisis, or that the banks seem to be carrying on as if nothing happened, or that the accountancy firms that audited those banks are still advising Nama, or that property developers are still living large despite being supposedly in the red, or that overpaid politicians are still sitting in their warm ancestral seats, many of them claiming multiple pensions. Then there are the unsecured bondholders. And Seanie Fitzpatrick. And Bertie Ahern. If even half a dozen disreputable shysters had been cooling their heels in the slammer this week, Croke Park II might have passed. Look what’s happened instead. Public sector workers now face a 7% pay cut across the board, together with other nasty measures such as compulsory redundancies, and the unions have ditched the protection that Croke Park II afforded to low-paid workers against this. And where else is there to go? The unions want the money raised from a wealth tax, which might be all very well if the government had any influence over how to go about saving €1bn from the public purse. Clearly the unions think Enda Kenny is in charge; behold Jack O’Connor’s old-fashioned notion of democracy. But we’re all public servants now, in the service of propping up the euro. Kenny told the Dáil this week that any move to tax high earners would fail, as Croke Park II failed for the very reason that it proposed to cut high earners’ pay. He neglected to mention, though, that outside of the public service, you don’t technically have to ask people first. And if the unions do strike, how much sympathy do they anticipate? The public reaction to any action, especially by teachers, who would have some trouble scheduling a strike around their 18 weeks of annual holidays (there, I’ve said it) might shock them. The unions are strutting like kings here, but they must know this game plan is being decided a long way away from Croke Park. 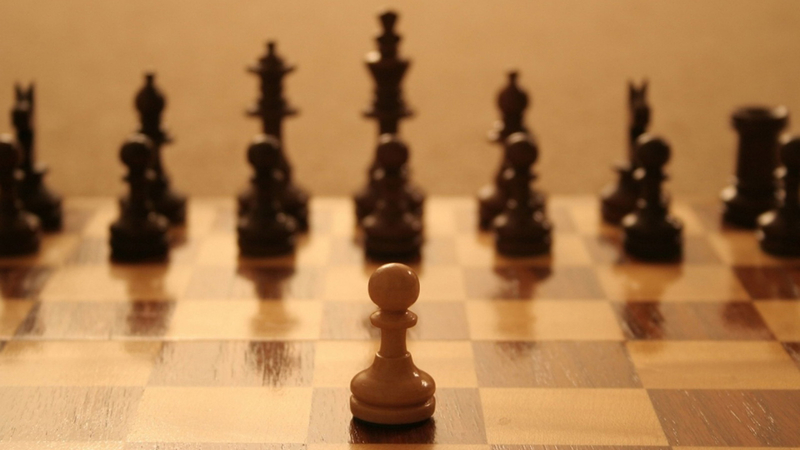 The next move could checkmate them, and the pawns – the low-paid – will be hurt the most. TENTATIVE plans to erect a 100-foot statue of St Patrick on top of the patron saint’s sacred mountain have had to be dropped. To put it delicately, Mayo said no. A Canadian sculptor inauspiciously named Timothy Schmalz was behind the idea. He compared it to the Statue of Liberty, and claimed it would have attracted millions of tourists every year at a cost of only €10m. 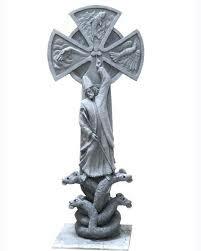 Schmalz planned to depict St Patrick in a sort of action hero pose, with one arm aloft and pointing aggressively at a shamrock, while four serpent-like creatures writhe cartoonishly at his feet. Thank you, people of Mayo, for making your feelings so plain. If only we’d all been given the chance to be so forthright on the subject of public art, there wouldn’t be half so many revolting sculptures thrown up in town centres all over the country. IN a death-defying leap of logic, Taoiseach Enda Kenny has said Helen McEntee’s by-election win in Meath East proves there is a “silent majority” that backs Fine Gael in Government. Admittedly, the taoiseach could hardly call this result what it was – a victory for human sympathy – but still… Let’s have a closer look at that silent majority of his. Helen McEntee was elected with 11,473 votes, of which 9,356 were first-preference votes. The total electorate in Meath East consists of 64,164 people, but there’s no getting around the conspicuous problem that only 38% of those people expressed any preference at all in this election. 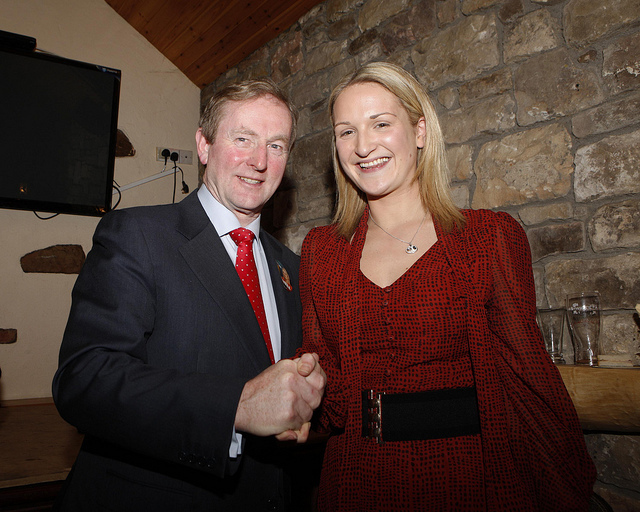 This means that McEntee was the first-choice candidate of slightly under 15% of the electors of Meath East. She won, therefore, because the runner-up, Fianna Fáil’s Thomas Byrne, was the first choice of only 12.5% of electors. She didn’t even reach the quota. That’s our exemplary democratic process at work, there. Certainly, there’s a silent majority in it somewhere, but it doesn’t seem to be made up of people who voted Fine Gael.